When you exit the North Exit of the Shimokitaza station and walk down the back street, you will find a spacious with a courtyard which is unusual around here. Upon entering the shop, you will be surprised at the height of the ceiling and the calm and mature atmosphere like that of an antique shop. 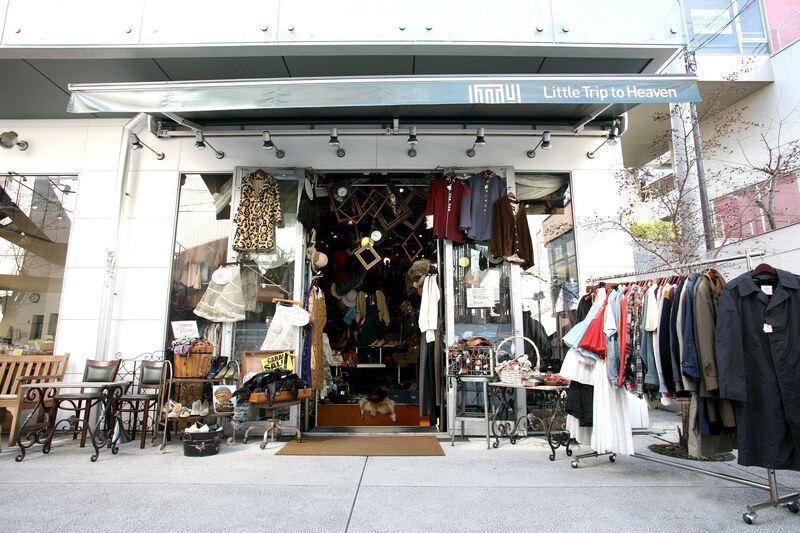 They say the height of the ceiling is over 4 m.
Little Trip to Heaven offers a selection of European and American vintage clothing from the 50’s -70’s and original and imported items based on the trends. They also have a wide range of accessories including vintage accessories for adults. The left side of the shop displays women’s clothes and the right side showcases men’s clothes. The further you go into the shop, the deeper the atmosphere becomes and you will find fashionable and showy items which you can wear to parties. You should also check out the Deadstock accessories beside the register.